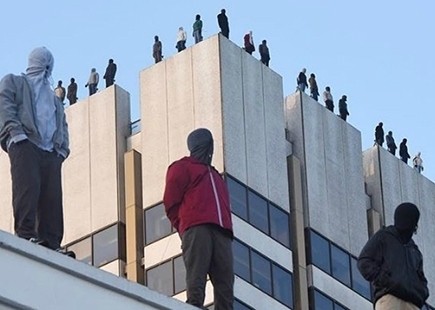 CALM (Campaign Against Living Miserably), the charitable organisation that works to prevent male suicide, installed 84 sculptures of men with a hood pulled over their faces on top of the ITV Tower to raise awareness of the number of men who take their lives every week. 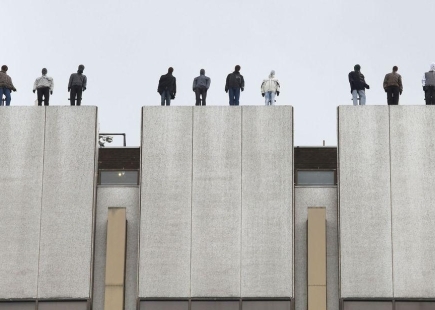 The campaign had echoes of Antony Gormley's 3X Another Time sculptures that appeared across the UK and the rooftops of London. Male suicide and mental health is a big issue that can’t be ignored any longer. It’s unacceptable that so many men are dying from suicide on a daily basis, yet so few people are talking about it. This shock tactic was a remarkable approach to getting this taboo subject out to the masses. This haunting campaign was always meant to stop people in their tracks, make them pay attention and inspire much needed conversation and action around suicide. The charity partnered with the internationally renowned artist, Mark Jenkins, and his collaborator Sandra Fernandez, to create 84 individual sculptures. Friends and family members of the deceased helped in the creation process of the figures. Each one, a poignant reminder of a real life lost and a call to society to come together and ultimately take a stand against male suicide. In addition to his own work, the artist is heavily involved in workshops that teach his tape sculpture techniques as well as his practice and philosophy on public art. This commission was devised to ensure hyper realism and there couldn’t have been a more appropriate collaboration for this endeavour. 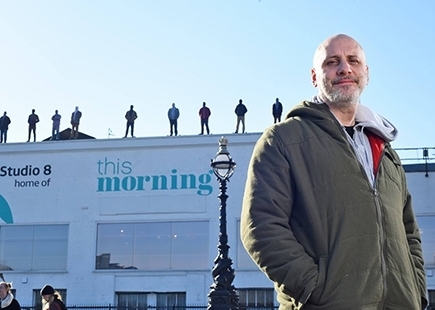 The campaign, which was created by agency Adam & Eve DDB, was supported by ITV show This Morning with three days of programming dedicated to male suicide. CALM chief executive Simon Gunning said: "Achieving our goal of male suicide prevention requires everybody to take a stand. As a society we have to face this awful issue, discuss it and actively work to stop it, which is why we’re particularly invested in making this campaign a success. 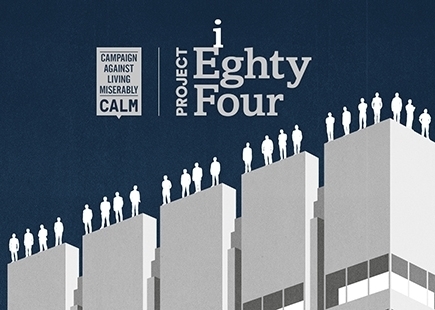 "Project 84 is all about making the scale of the situation very clear and we hope it will drive change and encourage everyone, government included, to come together to take suicide seriously." The results and feedback and are said to be overwhelming to say the least. I personally applaud the creators, sponsors and all those involved in delivering such a brave and haunting statement, the results and awareness across all media channels show just what impact this delivery had on the public. It's very easy to sum this one up… STUNNING! It’s shocking, it’s frightening and it’s painful when you do the deep dive into its purpose and background, but on top of all that it’s beautiful, it’s brave and it worked.